Use adaptive chunk size in GimpProjection when rendering the projection asynchronously, rather than using a fixed chunk size. This provides a better trade-off between throughput and responsiveness dynamically, based on how fast the processing is. 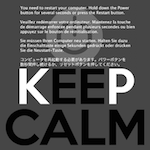 Fix Text tool's frame position when undoing a move operation. Streamline Text tool's drawing blocking/unblocking logic. When moving a text layer using the text tool (through alt+drag), don't change the layer's box mode to "fixed", which is unnecessary, since the layer's size isn't affected. Heal, Dodge/Burn, Smudge, and Convolve tools now adjust the processed buffer and mask_buffer regions according to the changes made to the application region, as calculated by intersecting it with the drawable and mask extents. This fixes wrong application position when painting on a drawable whose origin is above/to the left of the image's origin, and there's a selection active. Improve RawTherapee discovery by looking up registry key (should become useful with RawTherapee 5.5 and more). Compatibility information in the Save dialog is now more understandable. 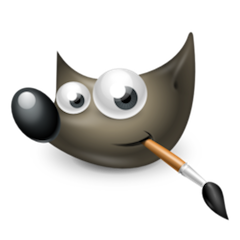 The minimum GIMP version for the XCF file is always written down when it is GIMP 2.8 or over. The list of features warranting the minimum version is now listed in an expander container rather than as tooltip, which makes it more discoverable. The warning on compression is now displayed as its own text under the checkbox and not as additional text to the minimum GIMP version label. New GimpBacktrace API provides an interface for creating and traversing multi-threaded backtraces, as well as querying symbol information. Backends are available for Linux and Windows. Performance log recording now available in the Dashboard dock. The log contains a series of samples of the dashboard variables, as well as the full program backtrace, when available. As such, it essentially acts as a built-in profiler, which allows us to correlate program execution with the information available through the Dashboard. New performance-log-expand.py tool decodes a delta-encoded performance log by expanding the deltas, producing a log where each sample (and other relevant elements) contain complete information. The structure of expanded logs is identical to that of delta-encoded logs, the expanded log simply has no deltas. New performance-log-resolve.py tool resolves symbol information in backtraces. The logs produced by GIMP only specify the program counter at each stack frame, providing an address-map to map program-counter addresses to actual symbols separately. This tool looks up each program-counter address in the address map, incorporating the relevant symbol information directly into the backtrace. New performance-log-deduce.py tool that statistically deduces the correct thread states based on backtrace address frequency, fixing local inaccuracies. 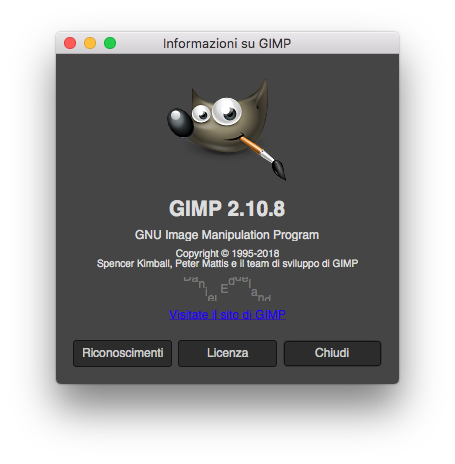 New performance-log-viewer.py tool that is a viewer for GIMP performance logs, with a sample-selection area at the top and an information area at the bottom. The sample-selection area visualizes the sampled variables and markers using a simultaneous set of plots, and displays the currently selected samples. The information area shows global information stored in the log, as well as information specific to the currently selected samples, including variable listing and statistics, full backtrace, and profile/call-graph information. Impossibile leggere una pagina che fa impennare la CPU con Safari. Come le volte precedenti, dati cercati e copiati altrove. 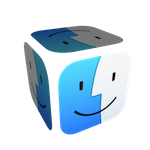 Attenzione, sia col Gatekeeper libero o bloccato sull'impostazione predefinita Apple, non cliccare sull'installer. Va messo in Applicazioni, sostituendo l'applicazione precedente. Ultima modifica di faxus il sab, 10 nov 2018 19:06, modificato 1 volta in totale. L'ultima release è la 2.10.6 o la 2.10.8 ? Ti riferisci alla pagina delle note di rilascio? Eh... non ha preso la correzione sulla citazione. Questa fa bloccare Safari TP. Con Yandex apre https://www.gimp.org/release-notes/gimp-2.10.html senza problemi. Safari TP no, si blocca il browser e neanche mostra la pagina. È un episodio circoscritto praticamente solo a quella pagina. Non attrae il mio interesse, quindi. Tanto per esaurire l'argomento, con Safari "normale" avevi provato? Non uso browser non avanzati. Uso Safari Technology Preview per tutti gli usi. Poi per lo streaming Yandex Beta, per lo specifico Firefox Quantum Developer Edition, Opera Developer e Tor. NUFRaw è l'editor raw predefinito, ma sei libero di usare qualsiasi editor raw per modificare le immagini della camera raw.